Below are our application forms. We suggest you contact us before filling out the forms to check on availability. Our application is 17 pages long. We are providing 2 versions of the application. One version is a Microsoft Word .doc file (2010 version) that has cells. Save the file to your computer with the future resident’s last name, first name, the word application_packet and date. Here is an example of a file name for the Application Packet: smith_ann_application_packet_10-1-16.doc. Then you can use the tab key to move from cell to cell, typing the information requested and save the file frequently. When completed, print out the finished form and have the applicant and physician sign and date where indicated and return to The Granville via fax or mail. The other version of the Application Packet is a pdf that you can print out and file in the information by hand. Please print carefully and use black ink. When completed, have the applicant and physician sign and date where indicated and return to The Granville via fax or mail. Some of our other forms are also provided as forms that can be filled out by hand writing the information. If you have questions please call us at 303-274-4400. The Granville Assisted Living Center is devoted to providing a friendly environment that is clean, safe, and attractive. Our affordable housing provides assistance with the activities of daily living to elderly individuals, whose annual gross income does not exceed 60% of the area median gross income established for Denver, Colorado. 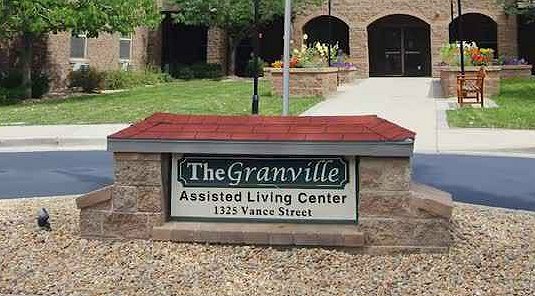 The Granville Assisted Living Center offers an affordable housing option for low- to moderate-income seniors. Like a few other assisted living centers in the Denver metro area, The Granville is financed in part with equity generated from the Low Income Housing Tax Credit Program. This requires that our residents earn less than 60% of the median income of the county in which the property is located, Jefferson County. This amount is set forth each year by HUD. The income of the resident must be certified at the time he or she moves into the facility, and again each year throughout the period of occupancy. The maximum rent the resident can be charged is also set by HUD. Currently, a person occupying a 60% tax credit unit cannot make more than $37,800 annually in income (this includes income from all assets). The Granville is dedicated to helping all low-income adults and will therefore accept residents on the Medicaid HCBS program. In addition to our rent requirements, The Granville also has a minimum age requirement of 62.